If you have a website for your business, then one of the best marketing tools you could be using is Google Analytics. 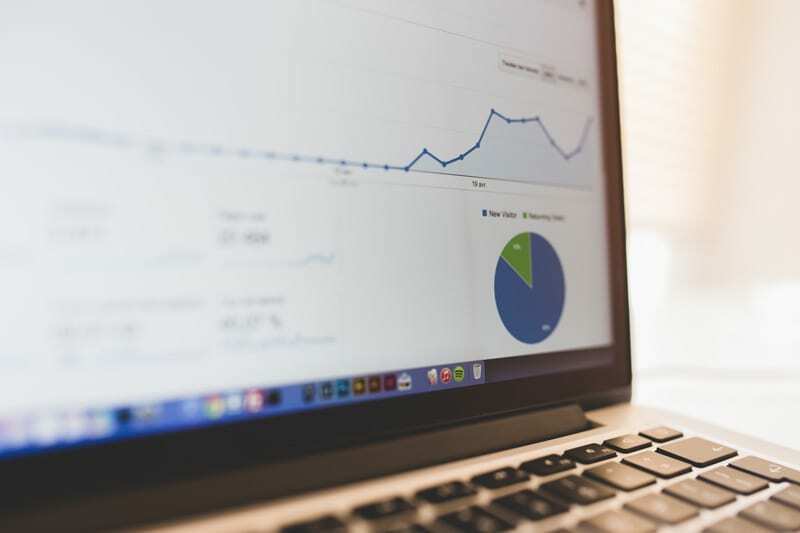 Google Analytics allows you to monitor and analyse your website traffic – where visitors are coming from, what they’re doing on your website, how long they are spending on your website, what pages are leaking visitors and much more. when you can understand how your website visitors are behaving across your site, you can then use this data to make more informed, strategic marketing decisions. This will help improve your website’s performance and increase your bottom line by optimising your website so that your users take the actions that you want them to. 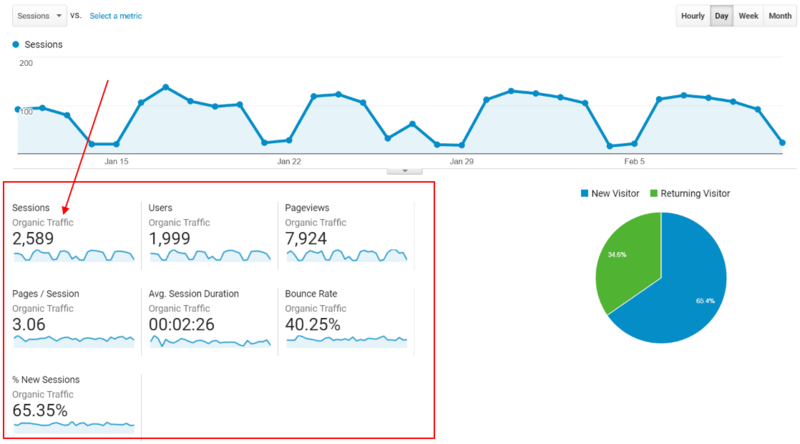 If you’re not using Google Analytics – you should start now! It’s free, super easy to setup and can really help improve the way you use your website as a marketing tool. 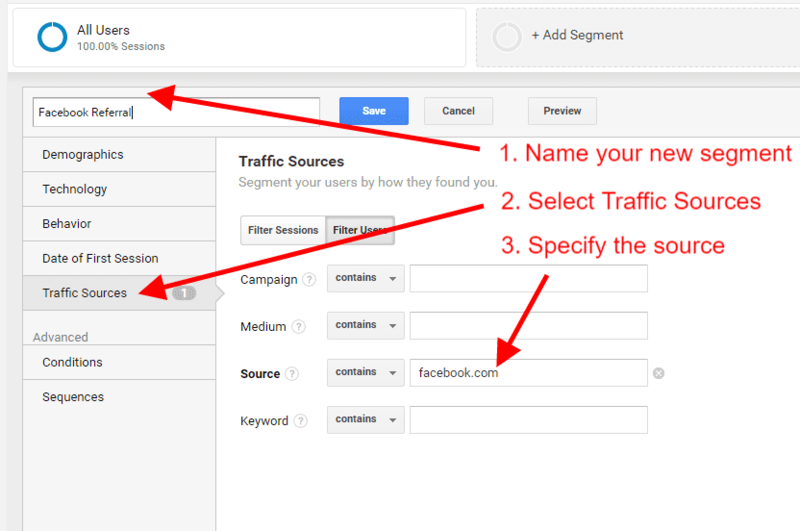 Here’s an easy to follow guide to setting up your Google Analytics account. 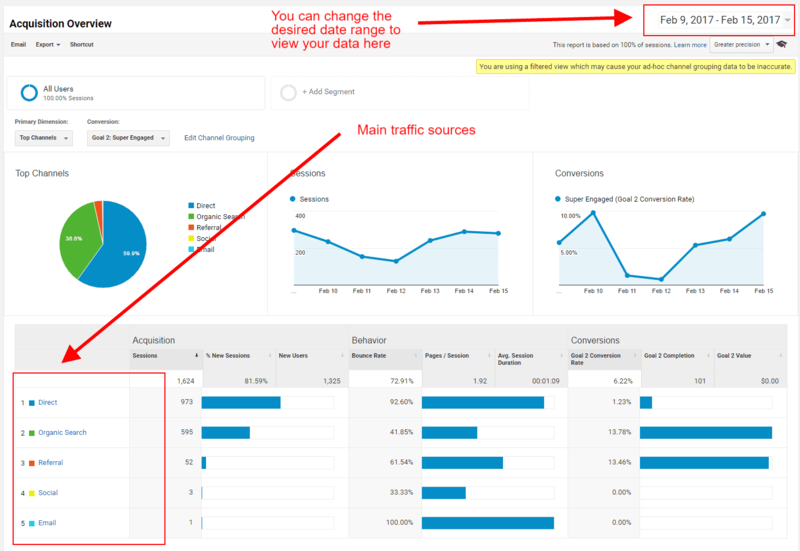 If you do have Google Analytics setup for your business or personal website, but don’t use it to track and monitor how people are interacting with your website, then read on for 5 easy reports that you can use and implement right now to help you make better marketing decisions. The Acquisition overview report gives a great top-level breakdown of all the different channels sending traffic to your website. This includes channels such as social media, organic search engine traffic, paid advertising and any other channels where visitors might be coming from. What I like about this report is that it’s really easy to access and understand – you don’t have to be a Google Analytics nerd to get some valuable insights – anyone can use it! 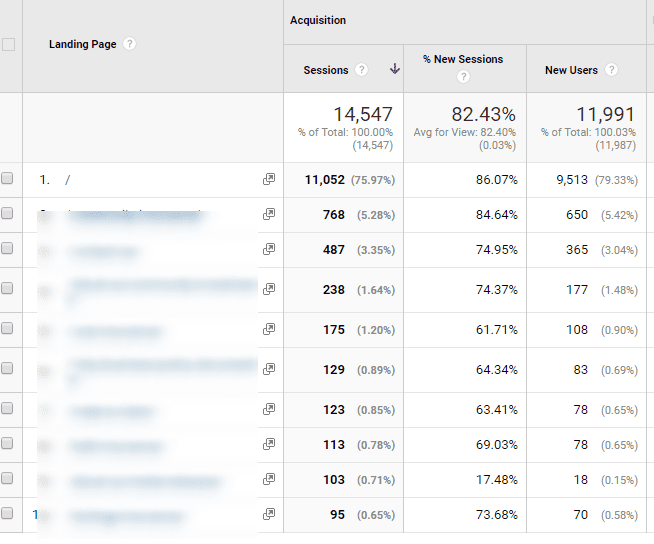 There’s a number of views that fall under the acquisition reporting tab in Google Analytics, but we’ll be looking at the top level overview report as it gives a nice broad overview of our data. How do we access the acquisition overview report? As we can see, the main driver of traffic to this site (ignoring ‘Direct’ for the time being, as it is outside the scope of this article) is Organic Search – which is traffic straight from Google. In this example our second biggest driver is ‘referral’ traffic, which is essentially visits to your website that come from another website link as a referral – for example if another website links to yours, this is a referral. Again, you can drill down further by clicking on the referral tab to see exactly which websites are sending referral traffic to give you more insight. We can see here that the social channel directing the most visitors to our website for the selected time period is LinkedIn, followed by Facebook. Interesting! We can look at how active we’ve been on each channel versus how much website traffic we’re receiving from each, to help us make better marketing decisions as to which of these social platforms are delivering better return on investment for our time and resources. This data can also help us understand our target audience – are users on LinkedIn much more likely to visit our website and potentially engage with us than users from Facebook? Facebook might deliver a lot of ‘likes’ and comments, but is it providing value by really driving engaged customers to your website? So you can see how this report is useful for providing information about knowing where your website traffic is coming from, which can then allow you to focus more time, attention and resources on the channels that are really working to drive more traffic and potential customers your way. The landing pages report tells you which pages people are landing on when they first come to your website – in other words, the entry pages to your website. This report is useful because it can help you understand how your visitors are most commonly entering your website. By knowing which pages people are entering your website on, you can structure your site to ensure that it’s delivering the right content and info to your visitors at the right time. How do we access the landing pages report? You might be surprised about which pages show up here, because quite often it’s not actually the pages that you expect. By analysing the landing pages report, you can then optimise the most popular landing pages on your site to be focused around providing maximum value and relevance to visitors, to ensure they’re getting the information that they are seeking when coming to your website. And by doing this, you’re maximising your chances of those visitors converting to customers. your most popular landing page might be your ‘Contact Us’ page, but you might not have sufficient information or means of contact on that page for your customers to reach out and contact you to enquire about the product or service you provide. What if you only had your address listed, and not a contact number, email address, Facebook page or contact form? This could result in potential customers not bothering (or being able) to contact you about your product or service, therefore losing potential business from a very basic oversight that could easily be fixed. If this was the case, you could simply add every way that potential customers can contact you, and monitor the number of enquiries over a month or two to see if you’ve had an increase. Another example may be that one of your most common pages is your ‘About Us’ page, but it has minimal content and lacks a call to action. If people are actively seeking this page on your site to learn more about your business and your team, but are only discovering lacklustre content and aren’t being persuaded to take an action (such as “contact us for a quote”) then you’re potentially missing out on low-hanging fruit and easy conversions. So by uncovering the most popular landing pages on your website, and considering each of these pages to ensure that they are optimised with the right content and calls to action for the purpose that people are visiting them, you can make data driven marketing decisions to improve the user experience and ultimately push your visitors further down the conversion funnel. Over 60% of web browsing in 2016 was done on mobile devices and tablets, and that’s only going to increase over the next couple of years. This means more people are now browsing the internet and viewing websites on their phone or tablet than they are on their computer. Image source Nielsen Online Ratings. However, so many Tasmanian websites that we see are not optimised for mobile phone or tablet browsing. This is a huge opportunity! Why? Because Google will penalise websites that are not mobile optimised, which means if your site isn’t mobile ready it will be much harder to appear in Google’s search results when someone is searching on a mobile phone, especially if your competitors have a mobile optimised website. Adding to this, if you don’t provide a nice and easy user experience to your visitors on a mobile device with a responsive website, then they are five times less likely to come back to your site. Why is the mobile performance and device report useful? The mobile performance and device report allows you to see how much traffic is coming from different devices. This is a really good indication of how important it is to have a highly functional responsive website. A responsive website means that your website will re-shape and re-size to fit the screen on which it’s being viewed. Knowing which types of devices people are using to find and browse your website can allow you to structure and optimise the layout and content of your website to improve the user experience, and ultimately increase conversions across your website. you might find that 60-70% of your website traffic comes from people on smart phones, but your website may not have been designed and built with a focus on high functionality across mobile devices. This would lead to a poor and frustrating user experience for pretty much anyone coming to your website on a mobile phone or tablet. And a poor user experience will kill your conversion rates, meaning people will spend less time on your site and leave your website more readily without performing the desired action you want them to because it will just be an annoying, frustrating experience. how frustrating it is when you’re trying to navigate a website on your phone when it doesn’t properly fit the screen – it can be super annoying! By using the data in this report, you can understand how your website is performing and functioning on all devices, and it may help you to identify an area where you could significantly improve the user experience on your website to increase the number of conversions (enquiries, phone calls, purchases, sign ups etc.) from your site. By understanding how much of your web traffic is coming from different types of devices, you can understand how important it is to your business to have a responsive, mobile friendly website. Eventually you will need a responsive (mobile and tablet friendly) website, it’s just a matter of when. Google now includes mobile friendliness as a ranking factor for SEO (search engine optimisation), so it’s a good idea to consider upgrading to a responsive website if you haven’t already. Not sure if your site is mobile optimised? You can check how mobile friendly your website is using Google’s Mobile Friendly Testing Tool. 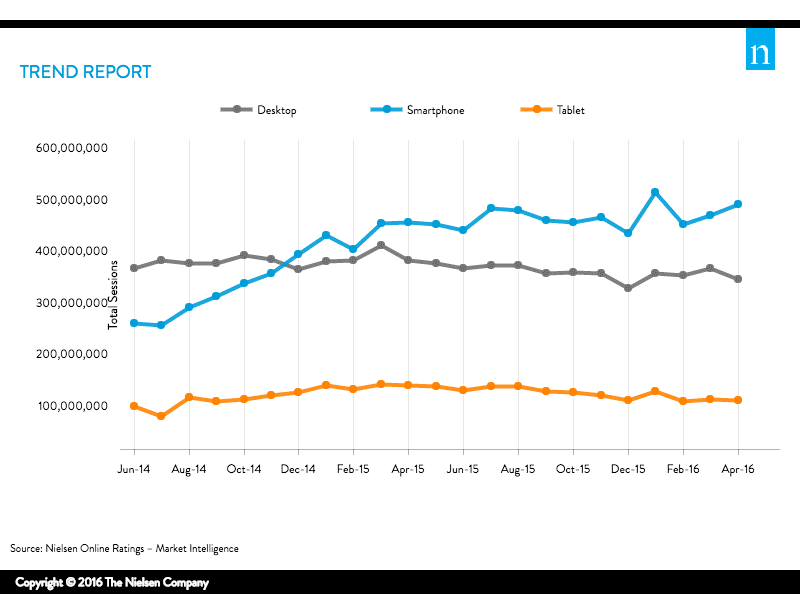 How do we view the mobile performance and device report? The devices report is a great way of seeing how people are accessing your website and provide you with insight into how your website needs to be designed and structured in relation to how people are accessing it. Segments allow you to focus your analysis on specific sources of traffic coming to your website, such as Google Organic, Facebook, Email, just to name a few. This means that you can really get better understanding of the different sources driving traffic to your website, and how each traffic is potentially impacting your conversions and sales. Segments are super simple to access and use! you may be receiving a big chunk of your website traffic from Google’s organic search results – ie search engine optimisation (SEO) traffic – which you might want to examine in more detail. Using a segment to isolate data that’s coming only from Google organic searches would be a good way of further analysing how your SEO traffic is behaving on your website so you can get the most out of the data, and really begin to understand how this particular traffic source is behaving on your site. 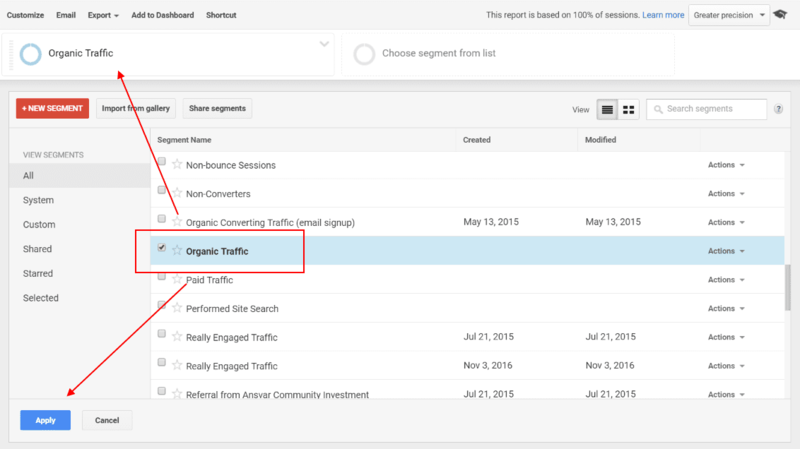 To begin using the Segments report, jump into your Google Analytics account, and at the top of the page you’ll see the option to ‘+ Add Segment’. When you click on ‘+ Add Segment’ you’ll see a whole list of default segment reports that are available as standard through Google Analytics – there’s quite a few to choose from which is really handy and worth playing around with to explore. When we hit Apply we can see a breakdown, or segmented view, of all organic traffic to the website for the time period selected. To make the segment reports more meaningful, we can use them in conjunction with any other reports we’ve discussed so far, to drill down and get more granular data. let’s look at the Devices Report that we just discussed above. When we pull up the devices report, and apply the Organic Segment, we are now looking at the different types of devices that people are using to access the website, that are arriving only from organic traffic. This is handy because it shows you how people are accessing and behaving on your site using different types of devices, but specifically focuses on one source of traffic – Google Organic. This filters out all of the other traffic sources sending traffic to the site, so you can understand how people from Facebook specifically behave differently on different devices on your website. we can create a custom segment! This might then suggest that desktop users are more engaged and therefore more likely to convert to being a customer. This could then impact your advertising strategy in that you spend more time targeting desktop users through Facebook adverts than mobile users, because desktop users are much more likely to provide a return on investment. Obviously this data will vary from website to website, so it’s a great way of taking a data-driven approach to determining what works best for you. The possibilities with segments and custom segments are endless, and it’s a very powerful and useful tool to help you better understand your website’s visitors, giving you the data to make better and more informed marketing decisions. Have a fiddle around with all of the different types of segmentation options and you’re sure to find some really interesting and useful data about your website’s performance that you didn’t previously know! The User Flow Report in Google Analytics is a great way of being able to visualise how your visitors navigate around your website. This will help you understand the journey of visitors accessing your website, and the order in which they are visiting your pages. If you can understand the order of pages that your website visitors are browsing, you can begin to understand what they want when they’re hitting your site. when you understand what your visitors want, it makes it easier to give it to them! To give this some more context, let’s look at our User Flow Report. Notice that the default dimension (top left) shows the traffic by country. To the right of this dimension the green box represents the pages where people entered our website – the starting page. In our example the ‘/’ page which takes most of the incoming traffic is the home page. This is the most common starting page for most websites, but you’ll notice that it’s not the only page people are entering our website from, as some other pages are listed under the Starting Pages column. these indicate where and what percentage of people left the website after each interaction – that is, where they’re dropping off. You can use this data to see if there’s any major drop-off points on your website where people are leaving. If you identify a major area where people are leaving, you can then look at what is on (or not on) that particular page that might be causing people to drop-off. It might be that there’s insufficient information on that page, or it might even be a broken page that needs to be redirected. if you have an online store you might find that your visitors are reaching the checkout page, but a large percentage are leaving before purchasing the product. This shows that people are interested in buying your product, however there’s likely a problem with the checkout/shopping cart page that requires some looking into – it might be hard to navigate, slow to load or have no call-to-action. By using the data to identify and address this issue, you will be able to improve your customer’s experience and increase conversions through your website. looking at the below image, we can see the 1st interaction and 2nd interaction that people are having – these are the next pages they’re navigating to after the starting page. By seeing a visual representation of the pages your visitors are navigating to, and their interactions with certain pages you can begin to understand how people are using your website in terms of the flow of pages they’re visiting. This can help you identify any major areas where you’re losing potential customers. You’ll gain better insight into the user journey through your website, and better understand what your customers are looking for. By knowing this, you can structure and tailor the content to make better marketing decisions, and improve your website’s selling ability. After all, the whole point of your website is to sell the products or services that you and your business offer! how users are actually interacting with and moving through the website. There’s plenty more to explore with Google Analytics, and this is only the tip of the iceberg – but hopefully you’ve now learned a little bit more about how to navigate and pull out insightful data to help you make better, more informed marketing decisions. What did you think? Did you try out any of these reports for the first time? Are there any other reports that you use on a regular basis that we’ve missed? Let us know in the comments below!